UPDATED to reflect conflicting size estimates. President Obama used his own authority on Friday to make it official: A vast and varied expanse stretching from just northeast of Napa, into Mendocino County, will become the Berryessa-Snow Mountain National Monument. The designation, under the 1906 Antiquities Act, could create California's biggest national monument--slightly edging out the recently-designated San Gabriel Mountains National Monument in Southern California. Initial announcements carried conflicting versions of the monument's size, from just under 331,000 acres to nearly 360,000. The action caps nearly a decade of work by supporters who had pursued both congressional and presidential action to get monument status for lands. "I'm ecstatic," said Bob Schneider, policy director at Tuleyome, the Woodland-based group that has been leading the charge. At least two bills by Representative Mike Thompson (D-St. Helena) had stalled in congress. He sounded almost more relieved than ecstatic in a statement. “After years of tireless work by countless numbers of people, the Berryessa snow mountain region is finally getting the permanent protection it deserves,” said Thompson. 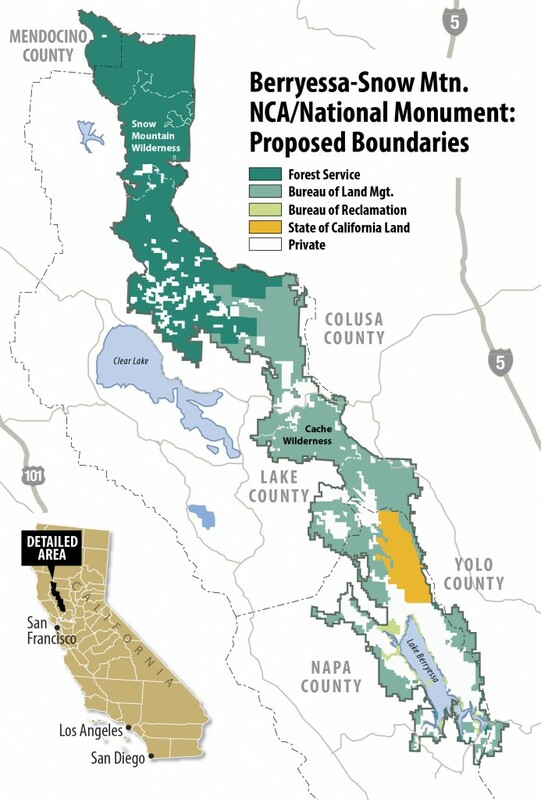 Proponents call the region a “largely undiscovered national treasure.” Michael Brune, the national head of the Sierra Club, agrees. "It goes up about a hundred miles to the north to Snow Mountain and in between you’ve got got beautiful wintering habitat for bald eagles," Brune told me at a spot along Highway 128, overlooking Putah Creek, in a 2013 interview. The apparent confusion over the size is not entirely surprising. Far from being a neatly outlined tract, the new monument is a loose patchwork of various federal lands managed by different agencies. If the Interior figure of 330,780 acres stands, San Gabriel would remain California's largest national monument. Brune threw his weight behind the move to set aside the Berryessa expanse. "Tule elk are here," he added, "You've got beautiful rolling hills on the western part of the valley. It’s a place that is close to Sacramento, close to the Bay Area, but very wild," said Brune. The Snow Mountain Wilderness Area lies near the north end. 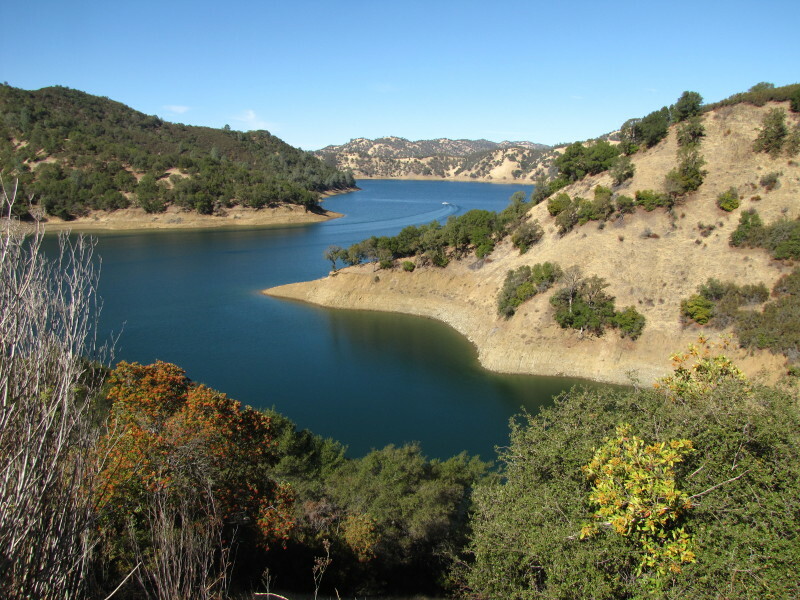 At the south end is Lake Berryessa, a 16,000-acre reservoir and recreational magnet that had originally been proposed as part of the monument, but was excluded in Thompson's most recent bill, the presumptive template for Obama's action. Berryessa’s not a natural lake. It was created in 1957 when the Bureau of Reclamation penned up Putah Creek with the 300-foot-high Monticello Dam. Some area residents wary of special protections for the region cited the "man-made" lake in their arguments against a monument designation. The Antiquities Act reserves special status for "objects of historic or scientific interest." Interior Secretary Sally Jewell conceded that could be an obstacle to inclusion of the lake. National Monument designation has often been a precursor to areas becoming national parks, as was the case with the recently upgraded Pinnacles National Park, south of the Bay Area. As a monument, Berryessa-Snow Mountain will be managed jointly by the federal Bureau of Land Management and U.S. Forest Service.